Slander is a serious sin. Like its cousin gossip, slander is incredibly destructive. It “lies in wait for blood” (Prov. 12:6), “destroys neighbors” (Prov. 11:9), and “separates close friends” (Prov. 16:28). But while both gossip and slander involve destructive speech, slander adds the additional element of dishonesty. Gossip spreads the fire, but slander sparks it. It’s acutely painful to be slandered, and pastors and ministry leaders are particularly easy targets. Precisely because it’s such a serious sin, we must be especially careful to guard our hearts when it happens to us. One of the easiest ways to be led into sin is when we’re sinned against. 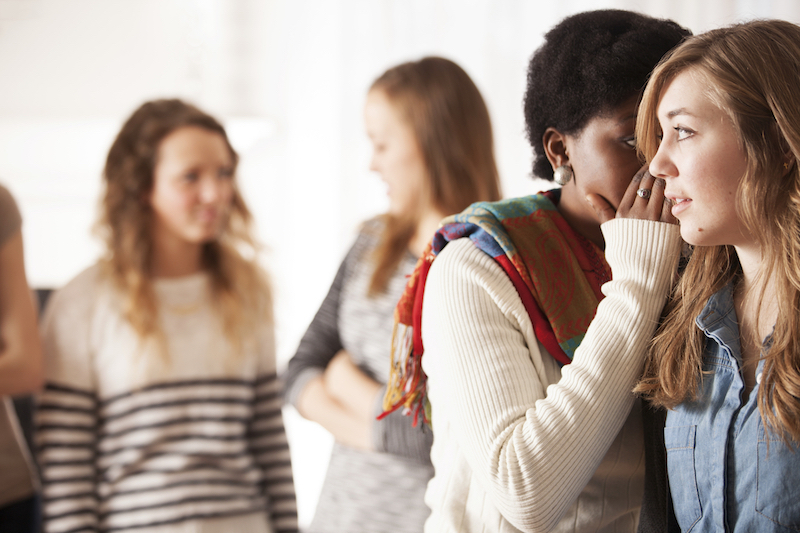 Here are three tips for responding with wisdom and grace when slandered. 1. Commit your reputation to the Lord. Even if you do need to defend yourself, give it some time. Don’t panic. Don’t explode. Don’t be guided by fear. It’s valid to defend your ministry (1 Thess. 2; 2 Cor. 10–13), but we should be careful not to become too defensive about ourselves. So above all else, put your concern on the truth, not appearance, and don’t let fear be your motivation. After all, it’s in the context of being “maligned” that Jesus says, “Have no fear of them, for nothing is covered that will not be revealed, or hidden that will not be known” (Matt. 10:26). When you feel the pinch of fear and self-protection, remind yourself that truth will win in the end. Truth is relentless, unyielding, inevitable, invincible. It’s the king of come-from-behind victories. 2. Gently confront the slanderer (not by email). In my observation, it’s amazing how often people can engage in the sin of slander without realizing it. Therefore, the most loving thing you can do for all parties concerned—including the slanderer—is to gently, lovingly confront. Such a conversation should be done in person, not over email, text, phone, or social media. In certain situations, it might be helpful to bring a friend or outside party trusted by both parties, though I think it generally best to begin by going alone. Bringing someone else in too quickly can escalate the situation. Begin with questions. This enables you to get all the facts before arriving at any conclusions, and it’s less confrontational. But don’t shy away from using the word “sin” and “slander” if that’s what it is. Express vulnerability to the slanderer. This is easy to overlook since it’s not our natural tendency when dealing with someone who’s hurt us. But sentences that begin with “I felt sadness/pain when . . .” rather than “you sinned against me when . . .” are more likely to “gain your brother” (Matt. 18:15), which is the most important goal. Amazingly, because some slander without realizing it, they’re genuinely surprised they’ve hurt you. Starting off with sharing your heart rather than with accusation can de-escalate the situation and produce a peaceable result. It’s awkward and scary to confront someone. But you must do it. If you don’t, you’re not loving the person who’s slandered you, and you aren’t “overcoming evil with good” (Rom. 12:21). 3. Preach the gospel to yourself. But we’re not yet preaching the gospel to ourselves until we also say, as Tim Keller has reminded us in countless sermons, “In Christ I’m not just more sinful than I ever dared fear, but more loved than I ever dared hope.” We must remember that God regards us as his beloved children, that every hair on our head is numbered, and that Jesus is right now interceding for us. Having our hearts secure in his love helps us let go of our pain and seek the restoration of Christ’s reputation more than our own (another good rubric to consider when discerning when/how to respond). Amen. May the Lord who sees and judges everything give us such a spirit.